Flour De Lis: Flava-flav GIVEAWAY! I love making cookies. I love baking, I love cooking, I love being in the kitchen, period. So many wonderful adventures take place in my kitchen! Sometime they end well, sometimes they don't... but those don't are fewer are farther between when you have the right tools to work with! 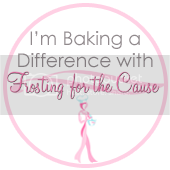 I'll go into detail in another blog about some of my baking equipment, but today I am talking specifically about supplies. I love Lorann Bakery Emulsions! No other extracts or flavor additives give the flavor that these little pretties do! I use them in all my baked goods, cookies and cakes and cupcakes and even frosting. The flavor is amazing and they smell so wonderful! They are a little pricier than most extracts, but if you're going to add flavor it should be good quality! If you haven't tried them yet, you should! Check out the product website here. There are several place to order them online, including Amazon. I like to pick mine up at my local bakery supply shop here in Seattle. The lady that runs the place is a doll! Always helpful and happy. I ran out of Almond last week, so when I wanted to make my mini doughnuts yesterday and needed some I ran to the shop and picked up a new bottle, and a few for YOU! If you would like to try it our for yourself heres how to enter. 1. Follow my blog and leave a comment here on the blog telling me what your favorite flavoring is or tell me what is the first thing you'll make if you win! 2. Share this giveaway on your facebook page and leave a comment here letting me know you did. 3. Share this giveaway on your own blog and leave a comment letting me know. Deadline to enter is April 24th at Midnight (PST). I'll select a winner at random and announce the following morning! Giveaway Closed! Congratulations to quanah! I sent you an email to claim your prize! Pretty easy, right? Three ways to enter and you could be the happy recipient of the four above; Almond, Princess Cake and Cookie, Orange and Lemon. I'm already following your blog. I'd like to try the princess emulsion, either in my sugar cookies or yellow cake. I've always wanted to try Princess Emulsion since everyone has been raving about it. I would probably bake up a simple pound cake so the flavor could shine through. I follow your blog. I want to try the orange in my Cranberry Orange scones! Bet it would really enhance the flavor. I'm a follower! I want to try the almond...and your recipe for donuts! LOL! I follow you...since long before the blog!!! I think if I win, I'll try out the lemon...to see if I can make cupcakes that come even 1/4 as good as yours!! !